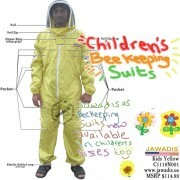 Affordable children's beekeepers bee suits designed with materials of superior quality for protection for a range of all ages. 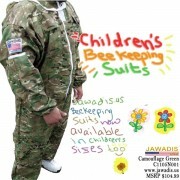 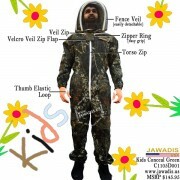 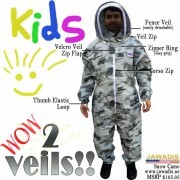 Jawadis bee suits for children are large enough to permit growth for arms and legs so they may enjoy time with the bees for years to come. 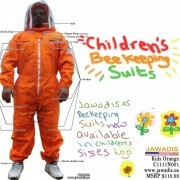 Each bee suit comes with a completely detachable fence style, sheriff hood, or collapsible metal square veil with a free carry case. 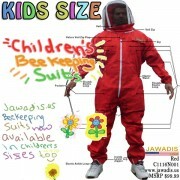 See all the sizes and colors available.